Packed with real-world applications and excerpts from original sources, COUNSELING AND DIVERSITY addresses the three dimensions of multicultural counseling competency (awareness, knowledge and skills) while increasing readers' understanding of oppression and the structures of power. This innovative First Edition addresses the constructs of culture, worldview, race, ethnicity, gender, age, sexual orientation, physical and mental ability, socioeconomic class, and spirituality and religion as complex dimensions of social and personal identity. In addition, a unique satellite series of monographs provide students with a thorough introduction to issues in counseling with specific populations, including Arab Americans, African Americans, Asian Americans, Latino/a Americans, Native Americans, and LGBTQ Americans. Offering complete flexibility, the monographs enable instructors to choose which groups they want to discuss in their course. 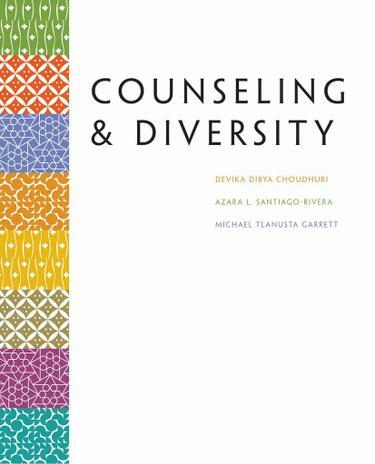 In this way, COUNSELING AND DIVERSITY equips readers with a historical, sociopolitical, and psychological overview of each aspect of identity that will have resonance in counseling, psychotherapy, and other helping professions, and empowers readers with the knowledge and tools to be confident in counseling in a multicultural setting.